A strong performing third-party logistics (3PL) provider can help you increase efficiency, control costs, and improve customer service. However, not all 3PLs are created equal. Tom Patterson, senior vice president of warehouse operations at Saddle Creek Logistics Services, recommends taking these steps and looking for certain characteristics to ensure you select a provider that can deliver. Do your research. Whether you’re selecting your first 3PL or changing providers, look for a company with proven processes, the right resources, and the ability to integrate with your systems. Establish a partnership. Today’s sophisticated logistics solutions require a high level of communication and data sharing. Find a 3PL you trust, with a compatible culture and values. Your partner should take time to understand your supply chain priorities. Look for a range of offerings. The more help you obtain from a single provider, the more seamless and scalable your supply chain will be. 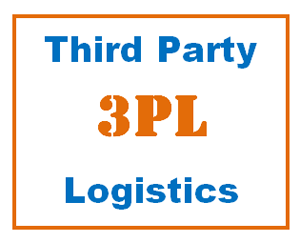 With a range of capabilities, a 3PL can customize a solution to meet your needs. Ensure your 3PL has robust technology. Your provider should offer advanced technology solutions. You may not need such sophisticated systems right now, but your business is always evolving. Aim for scalability. A shared-space environment is a key advantage of outsourcing. The provider balances the needs of multiple customers so they can meet peak requirements without investing in permanent space, equipment, or labor. They also can scale operations to accommodate business needs. Determine customization capabilities. An experienced 3PL can help you leverage postponement strategies to optimize inventory and deliver excellent service. Building to order instead of to stock allows you to cut production and inventory carrying costs. Find a provider that commits to continuous improvement. Providers committed to service excellence and quality management pay careful attention to solution design and utilize proven processes to achieve desired results. Find a provider that offers omnichannel expertise. Omnichannel retail is now mainstream. Select a provider that understands the nuances of omnichannel commerce and how to deliver the optimal customer experience. Look for an experienced partner with proven performance, a repeatable business model, and experience with your industry or business type. Choose a partner that maintains a network of locations. An effective 3PL takes a strategic approach to network configuration and helps you determine the right distribution center locations for optimal efficiency for your current and future business. They’ll have a network of conveniently located facilities—and the ability to open new locations to meet your specific needs. Seek stability. When you partner with a 3PL, you entrust them with your brand, so it is important to find a company with a long history of proven success. Look for a financially stable partner that continues to invest in facilities, systems, equipment, and human resources necessary for optimal logistics solutions.